It's easy to be a little blasé and spoilt as gamers, but it's been striking once again that, with a combination of economic savvy and a clear love for its products, Nintendo is making the most of key releases on the Wii U. Three of the system's biggest games have transformed since launch with a mix of new content and vital updates, improving the experiences on offer. We're talking primarily about Mario Kart 8, Super Smash Bros. for Wii U (and on 3DS, with a few less features) and Splatoon - all are games that keep giving for a mix of no cost, generously priced DLC and the occasional over-priced outfits and / or characters. It's all a matter of taste and opinion when it comes to pricing for some of the Super Smash Bros. DLC, but we think most would be happy to acknowledge that even the free extras in that title have fleshed it out nicely. Mario Kart 8 may or may not be finished - its extras did much to boost the overall content - and Splatoon is the shining example above all else. Weekly extras and frequent additions of new modes, maps and balancing tweaks all do much to keep us playing the colourful shooter. It's been a brave new world for Nintendo. These titles haven't represented the company's first dalliances with DLC, but they've been the most sustained and impressive efforts yet in that particular frontier. When you consider the features and content all three of these Wii U games had at launch to the present day scenario - with Splatoon's next notable update coming on 6th August - it's clear that Nintendo's gone far in changing how it approaches not only sustaining value in its games, but also monetising its biggest hits while keeping fans happy. There has, quite rightly, been praise for Nintendo's revitalisation of its games in this way. The MK8 content was excellent value, though the Smash Bros. content is up for debate. Splatoon, though, has been the most interesting approach. It's the opinion of some - but by no means all - that the shooter was light on content at launch, lacking key features to take it from being excellent to truly outstanding. In principle Nintendo could have simply released it at a later date with everything included on day one, yet the need for a major late Spring / early Summer release was perhaps greater than the requirement to wrap up all development. Or, alternatively, this gradual roll-out of content was the plan right from day one. If the Splatoon strategy was planned from day one, it seems to have paid off - at least within the Nintendo bubble of fans. Every week there are new outfits, weapons or stages, which gives keen players something new to see and keeps us interested. There was also an element of anticipation at launch around the unlocking of Ranked Battles, while the addition of Tower Control mode shook things up further. It can be argued that more player freedom in choosing stages and modes - which are driven by cyclical rotation - would be a welcome addition, but all-in-all the content on offer has expanded a great deal. There is a sense, more with Splatoon than MK8 or Smash Bros., that some of the updates are really just phasing in features that had no business being absent in an online-centric game. 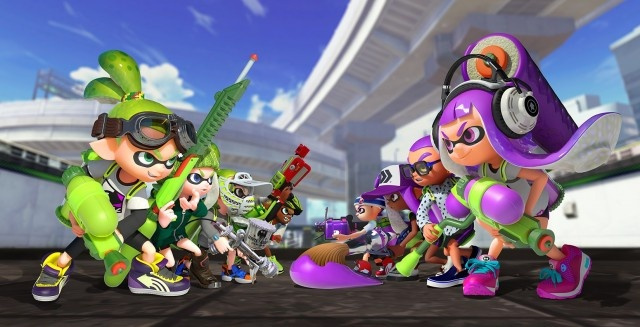 While this week's update will boost level caps and include new weapons and outfits in Splatoon, much of the buzz is around finally having the freedom to choose our own teams and set up private lobbies. Playing with friends has always been limited in the shooter due to random team assignments, particularly, so the chance for groups - maybe even 'clans' if you want to go that far - to get together is undoubtedly a big draw. Likewise with Tourneys in Super Smash Bros. for Wii U, a mode long in demand since it was announced last year; not all are happy with its execution, however. All of these updates serve Wii U gamers well, with varying degrees of paid and free DLC and/or updates keeping games active in our roster. Yet the latter part of our headline highlights a niggling source of frustration - these enhancements to the games get relatively little attention. We mentioned a Nintendo bubble of fans earlier, and updates like these are big news with that audience, but in the broader industry and public it's questionable how much awareness there is of these enhancements. 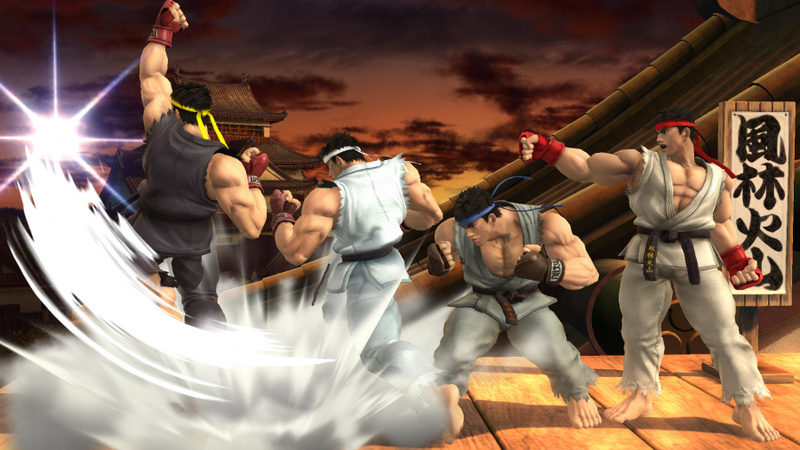 Are Street Fighter and Capcom fans all aware that Ryu is now in Smash Bros.? Are potential Mario Kart 8 fans aware of the Legend of Zelda, F-Zero and Animal Crossing tie-ins? Are gamers aware of how much Splatoon has expanded, and how much it will continue to do so in weeks and months to come? We're not sure, on all counts, but there's a marked difference in the attention Nintendo's updates and DLC get in comparison to 'triple A', multi-platform games. For better and worse, it's hard to escape coverage around season passes for the likes of Batman: Arkham Knight, free and paid DLC for The Witcher III, while expansions like Destiny: The Taken King have a clout on par with a full retail release. There are more examples out there, and in each of these cases publishers are able to make an event of these extra releases and updates, earning publicity and attention from a userbase notably bigger than the Nintendo bubble. This is one of those examples where we're bemoaning market realities rather than believing a solution is at hand, though. The trouble for all three Wii U titles is that they're on the poorest selling of the current gen systems, a console largely isolated from the multi-platform and third-party scene. If the Wii U was a Wii-scale sales phenomenon we have little doubt that the evolution of these games would be hotter news to more than the most dedicated Nintendo fans. Nintendo, from a marketing point of view, can't be accused of entirely failing in efforts to highlight the content it's delivering, either. Mario Kart 8 was perhaps the most successful at spreading the message of the DLC, with the popularity of the game at a mainstream level helping its cause. Smash Bros. is also given its own platform on occasion, such as Masahiro Sakurai's pre-E3 presentation. That said, as Nintendo looks to a potential new generation with the NX, or even just to maximising the impact of its current efforts, it can learn from companies that have been in this particular game for longer. As we've suggested, Nintendo's relatively new in terms of placing so much focus on DLC and updates, and as a result often treats them more as product roll-outs for existing owners than marketing events to draw in more sales. When you look at examples like some of those third-party efforts above, there's notable branding and structure in place designed to have an impact in media and at retail. Not all of the tactics employed are particularly savoury, but they sure work. Mario Kart 8 aped these well with its own 'season pass', but there's felt like less structure with Smash and Splatoon, which has given their respective additions a little more randomness and less sustained hype. This writer's slightly fed up of seeing headlines about The Taken King, and as a Batman fan is frustrated by the underwhelming DLC offered to date for Arkham Knight, but there's no denying the presence of these products within the broader gaming community's agenda. It's marketing as an event, as opposed to bonus goodies that only those paying attention hear about. Nintendo can perhaps master this a little better, then, especially in the cases where - internally - it has long term DLC and update plans in place. Placing particular branding on updates, scheduling them further ahead and treating them almost like new game launches - these seem to be the tactics that work well with a number of blockbuster games. Nintendo's IPs and the quality of its content, when combined with what will hopefully be successful hardware in the future, can help this strategy of evergreen games as 'platforms' flourish even more. Overall, though, and considering the strides Nintendo's taken in these areas with the Wii U, the company has enjoyed some successes. It seems that the Mario Kart 8 DLC was a major success commercially, Super Smash Bros. continues to excite with new content - helped by the Fan Fighter Ballot and its role - while Splatoon has evolved rather well. These are big positives, and provide foundations for Nintendo to push on and continue to improve on its approaches in the years to come. Nintendo DLC and updates are becoming significant parts of our gaming routine; perhaps in years to come more will hear about what's on offer and join in. The DLC approach for Splatoon may be ok for those that bought the game, but surely if you've got a great new IP you want it to make the biggest impact possible at launch to sway the fence-sitters and those that don't even own a Wii U.
I'm interested to see how well Nintendo continues to support Splatoon after the huge update and to what extent they take it. So far I really haven't considered it DLC, although we are starting to get much greater amounts of off disk content. I wonder if it will continue to be 'free'. @VeeFlamesNL I would wager 200+ comments. 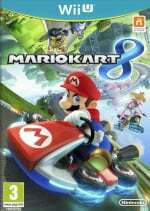 MK 8 DLC should be the staple of Nintendo's post launch game support. Splatoon felt like an unfinished game that is now getting the rest of it for free. Smash is nickel and dime'ing everyone. Nintendo knows that the Wii U will not receive any more games as successful as Mario Kart 8 or Super Smash Bros. Wii U, nor will it receive a new IP as impactful as Splatoon. What better way to ensure these three games can maintain steady sales during the Wii U's lifecycle (and beyond) than to support it with a plethora of DLC and updates?? I still haven't brought a large portion of Smash DLC, and I'm not even sure I'll be buying another MK8 DLC soon. I wonder how fans will react to Zelda U DLC... I mean, aren't most of these DLC stuff supposed to be in the game at first? I'm surprised we've not seen Pack 3 and 4 for Mario Kart 8 yet, maybe scheduled for November and May like the previous two. Also I'm hoping we may see a second season for Hyrule Warriors when Legends comes out on 3DS. More characters, more costumes, more weapons. I have really enjoyed the continued support for these tent pole titles over the past year. It has allowed me to come back to them and play them with a fresh feeling. I feel that Super Mario Maker will likewise feature a long term support framework, although that title will probably be limited to levels like Pushmo World still gets from it's creator. @gcunit continued support for a shooter is important as no matter how much you like it, eventually the maps get stale. Just look at the success that Team Fortress 2 has been for Valve. The game as it stands today is nothing like it was when it released (including adopting a free-2-play model). Just imagine if Nintendo did that with Splatoon for the NX. Here is a F2P splatoon and owners of the previous title get this special addition to thank them for support. Future updates will be provided as long as the community financially support the game. I have a real problem with Splatoon being held up as an example of great DLC. I don't think any game in recent memory has held finished content back to the degree that game has. Maybe a year from now it will be a great example of how to do DLC, but it certainly isn't for now. I don't really have any interest in MK8 or Smash, so I don't really feel like I've really got a good look at Nintendo DLC yet. I wish they'd done new levels in Super Mario 3D World for example. Right now it's all been the sort of DLC you typically get in sports/racing/fighting games. I want to see their take on single player campaign DLC, to see if they can match up to the phenomenal job people like Rockstar or Bethesda did in the last generation. Xenoblade Chronicles X could be the game that sees that, although worryingly the DLC announced for it is the sort of thing you'd see in a free to play title, despite it being a full priced game. I'm still waiting for a MAN repackage w/ amino support and the DLC on disc. Of course everybody keeps reminding me half of all WiiU owners already own MY so there's no point t, but I think as long as the game is on store shelves and selling, they should be selling the complete package. Slaton is a subscription service. SSB is an abomination of nickel and dime nonsense. MK8 has brilliant value DLC when you consider that for £11 you add almost 50% more content to a great £50 game. I think the Smash DLC is horribly overpriced when you consider that for £20 you add about 5% more content to a £50 game. I only skimmed the article but didn't notice Hyrule Warriors being mentioned. Next to MK8, that DLC was a fantastic bargain. These games, including SSB and Splatoon, have such a long shelf life ( stay fresh! ) that I don't even mind a "drought " of new titles. I don't even notice it. Next Super Mario Maker and throw in MH4U on the 3DS and I'm content for a few years. Nintendo is definitely giving us our money's worth of content. I refuse to buy any Smash DLC. The MK8 DLC was awesome! @rjejr For the moment I agree with the Splatoon thing, but let's see how they handle it after the August 6 update. Splatoons Slow roll out to keep the Buzz going is good in my opinion, because of the wider audience and younger user appeal, they need something to constantly 'get excited' about, in this respect Nintendo have pegged it exactly right. Mario Kart 8s DLC was as good quality as the rest of the game (a lot of developers don't always deliver this in DLC) and also reasonably priced. Smash Bros I will have to totally disagree with though, to say Mewtwo was an 'experiment' and then Spam hard the DLC not taking into consideration the precedent already set out by MK8 and to a lesser extent Hyrule warriors .The prices are comparable to the competition, for instance fighters are a similar price as those found in Injustice (great fighter), while on the surface this seems perfectly reasonable, one of the reasons WB pulled support, was DLC simply did not sell on Wii U. So the Wii U audience isn't as receptive to DLC, so the correct strategy would be to under-charge to make the audience more compliant and also pretty much makes all DLC for Smash a 'must have', and as Smash is a best seller on both consoles it would mean more DLC sales. Nintendo could then quote this to third parties for reference when they consider DLC in future games, for instance on NX launch titles. getting the Audience used to paying 'extra' (even if it seems like a good deal) should be the key concern for Nintendo's DLC approach on such a low install base. So when the next platform comes out the Audience will expect 'Nintendo' quality products with 'Nintendo' quality DLC and THEN be prepared to pay the Premium that a lot of other company's charge for DLC currently. Then the Audience compares Nintendo's DLC to other companies and finally demand more from 3rd parties on this front, instead of the to be honest fairly poor offerings currently. DLC should be a meaningful extension of the game, Nintendo have experimented with all 3 types, and I sincerely hope the Audience has voted correctly with their wallet on this by purchasing MK8 DLC and leaving the majority of the Smash DLC untouched. One positive from the Smash DLC is the wide amount of choice, people can get it a bit at a time, but I feel the prices should be dialled down more so they appear as 'pocket change' purchases (like a packet of sweets) to the Audiences. I hope MK8 doesn't get more DLC, at this point it's would be overkill. 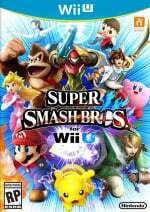 Smash Bros - Great content, bad pricing. I love my Wii U, but I got to say I think this commercial drubbing is forcing Nintendo to reconsider some of its less productive approaches as a game maker. DLC has been a thing for a while now and now Nintendo is on board and doing a great job of it. Rumors abound it is going to restructure its digital purchases to make them tied to an account rather than a system and hopefully the NX is a system attractive for 3rd party developers. I am disappointed with this dlc thing. Let's not forget the single player campaign was so short and we all went and bought 3 amiibos. That's 39 dollars dlc. Now Nintendo is trying to make up for it with these updates all summer long. No update ( in reason) can make up for the near $100 I spent on this game. Haven't bought any Smash DLC. But would like to buy more MK8 courses. I didn't get why they never had any DLC for Mario 3D World. They could easily add another world as DLC and everyone would buy it. I bought the MK8 DLC bundle as soon as it was made available. Kind of wish I hadn't though, as by the time both were released (especially the most recent one) I was so completely tired of the game I barely used them. I will still buy DLC in the future, but only if it adds something new to the game (i.e. new levels) rather than just different character skins that don't really change things up. MK8 had new maps too, but it just felt like more of the same. I think Nintendo is both playing it too safe with DLC and marketing superficial content at the same time, so I find it hard to agree with Nintendo managing DLC well at all. Mario Kart 8 had a lot of stuff, but the overall package feels very empty when the game itself fails to deliver actual replayabilty. In addition, the characters are completely useless (blah blah blah opinions, blah blah blah choices, blah blah blah good price), and the only thing that actually expanded the scope of the game in any way at all was the (free of charge) introduction of 200cc. Smash has a very lazy DLC approach. Except for Ryu, all extra characters were (crudely) ported with nothing to make them stand out against their originals/clones at all. Sure, their metagame differs greatly, but that doesn't make their implementation any less lazy, and by extension, completely overpriced. The stages are mostly worhtless, so actually expecting money for the horrible N64 stages is a rather cheap nostalgia exploit. And the costumes, while looking neat overall, are also unreasonably priced considering you have to buy the same costume twice if you want to use it on both Smash games. As for Splatoon - is it fair to even call that DLC? Nothing actually gets downloaded, after all. It's just a small unlock code that marks the corresponting items/maps/weapons as available in your save file. Even the August update isn't DLC, it's an update. DLC corresponds to something entirely optional, not something mandatory to even access a large portion of the main game. Once we actually get stuff like cameo costumes/weapons or alternate hairstyles to pay for, that's when Splatoon actually receives DLC, but we don't even kow if the dev's will ever do that, as nothing was stated so far. @Kaze_Memaryu They did say that Splatoon was going to continue getting support after the August 6th Update, so the possibility is their. Japan is also getting a Costume Crossover with the anime character, Squid Girl; although nothing has been said so far about the rest of the world (sadly). @DiscoGentleman DLC seems to be a very sensitive topic in gaming; one that seems to garner a lot of mixed reactions. So I wouldn't really be surprised if that happened. I've had no problems with the pricing of Smash's DLC, I just think there are way too many Mii costumes. They need to slow down and maybe make some sort of discount for those that buy a lot of the costumes. I personally couldn't care less about the costumes as I rarely use the Mii Fighters, but I've gotten all the new characters and will probably get whatever characters come out in the future. @Aromaiden They said they'd support the game with free stuff for 6 months, if I remember correctly. What happens afterwards is what I wonder about, since I still see enormous potential for paid content in Splatoon. I'd say Mario Kart 8 is the only shining example. Smash is, in my opinion, going overboard with it. The pricing is not the best, and the costumes, while cool, are not worth their prices. Splatoon is neither good nor bad. It's had all this finished content since release, they just decided to allow us access to it on a week by week basis. Not bad, but nothing to praise the game over. Admittedly, it is a nice way to keep fans interested. But I don't feel like they were doing me a favor by holding back finished stuff. Mario Kart 8, however, was great. Over half the base game's worth of content for $15. Great price, great content, a bit of a wait but not as long as some other games. Nintendo's DLC rules and is the example to follow. The triple A industry ruined what was a great idea and now it is hard to find a good example of DLC there what with the £30 Season Pass for Arkham Knight, the two Season Passes for Evolve and the idea of Season Passes in general. It's just to much to ask it seems for the big publishers/developers to do it right, give us something(s) substantial that enhances the experience of the game post-launch, not something withheld, don't advertise the crap out of it and make it reasonably priced. Is that so hard to do? Nintendo proves that it shouldn't be, but fat chance WB, EA, Ubisoft et all with follow suit. 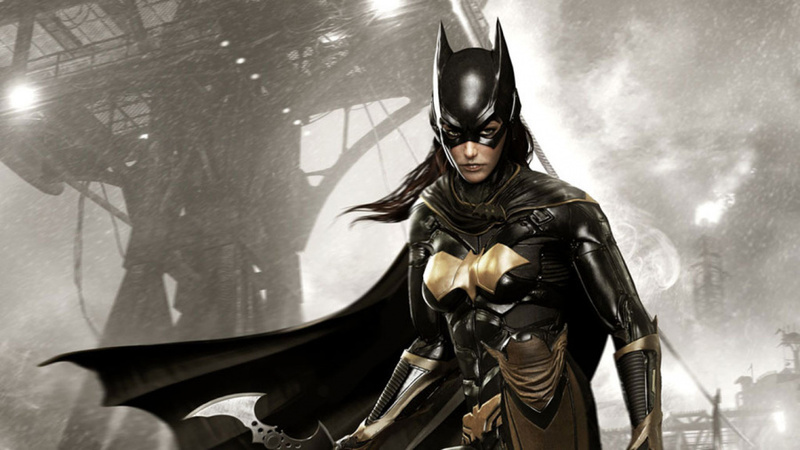 The bolded title of the Arkham game listed in the article is Arkham Asylum, and I'm guessing you wanted Arkham Knight there, given the modern Bat Girl image included. Just a random note for you, @ThomasBW84. Great article, though, and I think Nintendo deserves ample credit for their approach to modern gaming practices like DLC. Jim Sterling over at The Jimquisition has some fantastic content on the matter that covers the great work Nintendo has done with Hyrule Warriors and Splatoon in particular. @MarioPhD Whoops, which is a dumb error as I've played a lot of it over the last month! Not the DLC though, meh to what's been released on that score so far. MK8's DLC was the best both in terms of the content and value for money (excluding the amiibo racing suits) but also not there were not enough packs. It's been over 3 months since pack 2 released and since Splatoon came out, the servers have been pretty much dead regarding 200cc. Used to easily find a fully lobby but nowadays I'm lucky to find a quarter of that and with the DLC team "promoted" to smartphone development it looks like it's only going to get worse. I think the Smash costumes are a perfectly fair price, you know why? Because it's much cheaper than having to buy an amiibo per outfit unlock, I've spent nearly £200 on the Mario Kart 8 costumes (18 compatible amiibo, don't have Villager) whereas if it was done the Smash way I'd probably only have spent £15. As for Smash, I don't see the costumes as terribly expensive. I DO think they need to discount the bundles, and that it might've been fairer to charge the "one system" price, and have crossbuy be a given. I can't speak too much on Splatoon, but, hey, free is free. Plus it's a new IP, so, they gotta keep people hooked somehow. Mario Kart 8....... no more Mario Bros/ Princess variants. Otherwise, the content was good. I am loving Nintendo's approach to DLC. It is more fairly priced than the competition and it tends to be a lot of content. While I miss good old fashioned expansions...I'll take Nintendo's approach to DLC any day. Mario Kart's DLC is fantastic. For the extra courses, the price seems very decent. The extra characters and stages in Smash are also good, but seem slightly pricey. As for Splatoon, I dislike them locking content on the disk and slowly giving it to us. It feels like they're just doing it so that it seems like the Wii U is getting more games. Plus the original base game seemed a little light on content. Also, I hate that they locked extra single player missions to amiibo, especially since the single player was short without them (I know the amiibo missions use the same levels as regular missions, but the different weapons, time and limited ink gives it a completely different experience). However, I'll likely give a different response after the big Splatoon update. The extra features are going to be fantastic, and I'm really looking forward to them. DLC is all over the place quality/value wise. MK8 was really good while Smash seems like a cash grab. This is still an industry wide problem though, Tomb Raider's DLC was all multiplayer stuff that I didn't care about and Batman's DLC (past and current games) is weak as well. Bethesda and Rockstar seem pretty consistent with good DLC. SSB4 DLC is way too expensive, and Splatoon DLC is just stuff that should have been in the base game. MK8 is the only title of the three mentioned that did DLC right. No mention of Pikmin 3? Smash DLC, stages and characters are the real deal. Splatoon, it is fine. It's just more and more of the same thing. Splat this, splat that. Would having it all on launch really make a big deal? There'd be more people dropping out that way, because nothing new gets out. Talk about hype dry there. They HAVE to lock it to keep interest going. Also, some development time is needed anyway, for some things. Mk8 has been good, i do not care about smash bro, splatoon was just an unfinished game at launch so i wouldn t praise this as a great example of dlc policy. Mario Kart 8 I think did dlc extremely well. You got 16 tracks and 6 (7 if you count the female villager) characters, and if you pre-ordered both, you'd get skins for Yoshi and Shuyguy. Smash Bros...the content's nice, but is just a tad bit too expensive. I'll gladly get new characters and stages, but the Mii outfits...I'd only get the ones that REALLY interest me. Then again, it takes more work to make a Smash Bros character than a Mario Kart character, so I can understand why it costs more. Splatoon I wish had more stuff at launch, but as long as I'm getting this stuff for free, I won't complain. "This is one of those examples where we're bemoaning market realities rather than believing a solution is at hand, though. The trouble for all three Wii U titles is that they're on the poorest selling of the current gen systems, a console largely isolated from the multi-platform and third-party scene. If the Wii U was a Wii-scale sales phenomenon we have little doubt that the evolution of these games would be hotter news to more than the most dedicated Nintendo fans." Also, I thought it was pretty well understood that the DLC "Season Passes" of MK8 vs. the completely random roll outs of "features" in Splatoon was evidence enough of which one was planned all along and which one released early just to get the core game out in the wild. I have to give credit to Splatoon with their updates and events around this time of year. It act as a good smokescreen for the summer game drought. People keep coming back to it because there is always something new every week or so. If all the updates were "unlocked" as some would say day one, people would binge on it (hint at how fast people reach lvl 20), get bored, then move on to the next new game. This way keeps their attention longer and distracted. MK8 DLC was a nice way to get people to replay the game long after release and Smash DLC seem like a "put your money where your mouth is take", which I can get (and buy into for both versions). Would be nice if Mii Fighter had more custom moves to go with the many costumes and add variety but that's just me since I use custom Mii Fighters too. Smash is way too pricey. Splatoon hopefully needs to keep a steady stream of content. Mario Kart is perfect, but it doesn't look like much more is coming. The Mariokart 8 DLC is the best DLC ever IMO. Smashbros characters and stages are fine, but the costumes are a ripoff. Splatoon is both good and bad. We just need long term support for any Nintendo game with online multiplayer. It gets people interested and re-ignites the community from time to time. I love the content and pricing for Mario Kart 8 DLC, and frankly would love to see more of it given it doesn't hugely take away from development of the next MK game on NX. The content is Splatoon is great as well and few could argue with it being free. The only one that people have really disliked has been the cost more than anything for Smash content. It is the most expensive, but we just need to remember its optional. You buy as much or as little as you choose. In fact if you hate it you simply don't buy any. I've bought it all so far and feel that I've had a pretty good return on what I've paid for compared to other DLC. I also want to support Nintendo's decision to have DLC in games because it adds replayability and value to our games and Wii U purchases. On the flip side it's sad that third party devs have shunned the Wii U with DLC content since its inception. Most Wanted U offered some DLC as included content, but lacked the airport and huge collection of cars available on every other platform. It's almost a given that when you buy a third party game on Wii U, you should expect to not see any future DLC for that title. It's pretty sad and pathetic if you ask me. @chardir I regret buying it. It was kind of boring for me. I've been a huge fan of how Nintendo has handled DLC for Mario Kart 8, Hyrule Warriors, and Splatoon. In the case of the former two, you're getting lots of new content at very reasonable prices, and in the case of Splatoon, it's all been free, so you can't argue with that. Smash Bros., on the other hand, has been alarmingly bad with its DLC. The pricing is the very definition of nickel-and-diming. The newest update, with two stages and a pack of costumes, costs over fifteen dollars if you get it for both the Wii U and 3DS versions. That's nothing short of absurd. The previous update, which did have three new characters, nearly totalled thirty dollars. This is the kind of pricing model that's used by other AAA companies, and they rightfully get lambasted for it. You can buy ALL of Hyrule Warriors' DLC for $20. You can buy ALL of Mario Kart 8's DLC for $12. And these games' DLC actually elongate the experience with new content to play through, whereas Smash's DLC is mostly cosmetic and repurposed old content. I'm not a fan of what they're doing there. I don't have Splatoon and HW, so I can't comment on those DLC. Mario Kart 8 DLC has been great, it wasn't on disc and was excellent for its price, while I think SSB DLC is overpriced. At least give a discount if I'm getting all characters! My other DLC complain is Fire Emblem. Awakening's DLC was fun but costed almost as much as the game itself, and Fates third path is as bad as EA's DLC policy. In other words, Nintendo needs to find an equilibrium between great handling of DLC and horrible handling of it. The DLC pricing for Smash Bros. is ridiculous. Buying 4 DLC characters, 3 stages, and 2 alternate Mii outfits should not cost as much as the full game! I don't think Nintendo should be praised for Splatoon "DLC." They just kept half the game back for launch and have been releasing it in updates. I haven't picked up the game because I'm waiting for the full game to actually be released. @BacktoNarnia Well luckily the game will be basically complete by August 6, and after that it will continue being supported. Then we can really see how well Nintendo supports the game. Years ago some of us predicted DLC en masse being necessary, for good or bad, to profit on the HD development costs like the rest of the industry. It's come to pass and folks don't think twice about it. The Bad: Smash. The content itself is mostly good, Mii costumes are just decent. I'm glad Lucas (one of my Brawl mains) is back, and Ryu is just awesome. But the pricing is waaayy too high across the board. I spent almost half of the MSRP of Smash Wii U...on 4 DLC characters (3 of them veterans), 4 stages (3 of them exact N64 copies), and a couple Mii costumes. Compared to MK8, that seems like a rip. The Ugly: Splatoon. The DLC might be free, but it doesn't feel like "true" DLC. It's everything that should have been in the game on launch back in late May. It's like Nintendo is trying to enhance Splatoon's replay value in a drawn out, artificial way. The content itself is mostly good, but the method of delivering it just feels...ugly. I neeeeeeed more MarioKart DLC! "In principle Nintendo could have simply released it at a later date with everything included on day one, yet the need for a major late Spring / early Summer release was perhaps greater than the requirement to wrap up all development. Or, alternatively, this gradual roll-out of content was the plan right from day one." @ThomasBW84: It definitely was the plan from day one. Not only because the devs stated that they did it on purpose so that the players - especially the less-experienced ones - would have enought time to get accustomed to the game. No, the even bigger proof of that is the fact that all the maps were already included in the initial Splatoon release (on the disc or in the initial download). They were even featured in the singleplayer campaign before they were released for online battles. "Are Street Fighter and Capcom fans all aware that Ryu is now in Smash Bros.? Are potential Mario Kart 8 fans aware of the Legend of Zelda, F-Zero and Animal Crossing tie-ins? 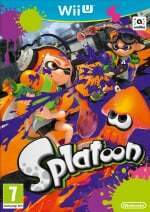 Are gamers aware of how much Splatoon has expanded, and how much it will continue to do so in weeks and months to come?" And I think it's definitely coming from the little userbase the Wii U has, but maybe also because many people (mainly those who don't own a Nintendo console) still have an outdated image of Nintendo in their head. And because DLCs have a pretty bad reputation because of many overpriced or worthless DLCs in the industry. In general, DLCs are perceived as an opportunity for the publisher to rip-off the gamers even more, not as an nice addition for a decent price. It wouldn't surprise me if many gamers couldn't even imagine a game getting so much great content for free (Splatoon) or getting great DLCs for a really cheap price (MK8). Are there even any comparable DLCs out there for a single non-Nintendo-game (I assume there are, but I haven't heard of any)? Honestly, outside of the Nintendo world, the only good example of DLCs that come in mind, are the two GTA IV DLCs that were bundled into Episodes from Liberty City. THAT was great value for your money. Right made DLC The Witcher 3 and MK8. People don't complain to pay more for a game, if the game is treated with love and respect. Just look at The Witcher 3, the game is huge, and is getting better and bigger every week. Splatoon use the same dlc structure, but the initial game is a little thin, and this is the main difference. All in all, I love DLC when it's done right. Mario Kart 8 DLC is some of the best ever made. Fantastic price, and the maps are some of the best in the series' history. Smash is pricey, and honestly, cross-buy should be with the one-console price. It'd help build goodwill, especially since they're expensive enough as is. Splatoon isn't exactly what I'd call a good example of good DLC. The content they've been putting out was already on the disc. Perhaps if Nintendo keeps up the current level of support for a while longer, then it will be a good example of DLC. But as it stands, if a traditional shooter tried getting away with what Splatoon did, it would have gotten panned pretty badly by fans and critics alike. I'd say the reason they don't get that much attention (according to Nintendolife; I honestly think they get tremendous amounts of attention) is because they're on the Wii U. Most people don't have a Wii U. The ones that do and care about Smash, Mario Kart, and Splatoon will know about the DLC, because Nintendo makes sure that players of those games know about the DLC offered (either through menues, update notes, or the like). And honestly, the DLC offered in Arkham Knight seems to be talked about for the wrong reasons. As for Destiny, it's being treated as a new release to attract new players to it, unlike other kinds of DLC (and it's also drawing a lot of flack for it). Other kinds of DLC aren't trying to draw in new players; they're getting more money out of existing players. Who's going to buy Mario Kart 8 just for the DLC? That seems silly to me. MK8 was great, Splatoon is smart as it keeps people interested, but Smash... the prices are a bit steep as it is, but I could stomach it if buying for both 3DS and WiiU wasn't extra. @moomoo To be fair, a good amount of the recent updates have been off-disc. The August 6 update is actually 610mb of off-disc data. Although I do agree it really isn't DLC since it is promised original and mandatory content. The real DLC probably won't come until after the update; such as the Squid Girl crossover. Actually the main reason I think Splatoon didn't receive as much negative reception was because of how well Nintendo handled the presentation and because it is a new IP (which had yet to garner much attention). Mario Kart 8 DLC: I loved it, the pricing was cheap for 7 Characters and 16 courses. But it seems there isn't much more to come. I would love Captain Falcon, Kirby, Birdo, Bowser Jr. , Diddy Kong, and King Boo. And for courses, I would love Waluigi Pinabll, Airship Fortress, Maka Wuhu, and many more. Smash Bros. DLC: It's a popular opinion that it's too pricey, but I'm alright with it. A lot more work and time go into smash characters than MK8 Characters, since there's moves, uniqueness, and balancing. And stages are 2$ a piece unless you have both versions which is a great deal (coming from a guy with both versions.) As for the Mii Costumes, the pricing is good if you buy the bundles(which I have), not a good idea to buy them individually. I have bought Collection 1, 2, and 3 for both versions, which seems very pricey, but considering the time that goes into this DLC, I am happy with my purchase. Splatoon DLC/Update/On-Disc Content: IT'S A GREAT IDEA, it has definitely kept the game fresh for me, although I wish Splat Zones was at launch, but it only took 3 days. Other than that, I've been going back to the game every day to check out the new content and play with some friends, and with the update tomorrow, it will feel like a complete game. If you want to hear why Splatoon's method is a good idea, go watch SomeCallMeJohnny's video about it. Anyways, the content roll out strategy of Splatoon is a good idea, it keeps the game fresh and gives people something to look forward to every week. Hyrule Warriors DLC: I think this is the best one out of them all, for 20$ you get a ton of new characters, new story segments, new modes, and extra adventure maps which add in almost a hundred ours of new content. The costumes, characters, modes, adventure maps, and story segments, hundreds of hours of content, for 20$. Not a bad idea IMO. Overall you can probably say that I'm trying to defend Nintendo, but honestly they handle DLC way better than other companies. It's those games fresh. Hopefully there's more to come for all of them! Is this article a joke? Nintendo's DLC and updates get way more attention than they need to. It's like a new game got announced whenever a DLC character gets revealed for Smash. In my personal opinion, Nintendo's DLC is the same as any other company's, overpriced, intrusive and tacky. Third of all, DLC is a series first for smash and we get the chance to get and request characters that weren't in the game at launch. Finally, we are Nintendo fans on the hype train, if you don't understand it then why are you here? @TheAceofMystery I'm just as big a Nintendo fan as anyone else. I just very strongly dislike DLC and wish the resources could be put elsewhere. Like new games. I'm glad that Nintendo aren't asking for loads for their DLC. Would love to see more expansions like this on future N games, providing that their cost stays low. Also, they should be afecting by user requests e.g. for characters in Smash. Maybe if we request a Splatoon weapon for long enough it comes? The way Splatoon has been rolled out is nothing short of being fantastic. Agree that the content isn't DLC but rather unlocking the 'now' completed elements. Those who knock this approach are just ignorant. Splatoon was released at a time, especially for the Americans as us Europeans and the Japanese got Yoshi a short time ago, when if it wasn't released it would've been yet another dry release spell of three or four months. This would've meant even more complaining of "Nintendo failing their customers" doom and gloom. Also Nintendo is well aware of SMM coming out in September and wants to give it as much attention as possible. Plus they are also "dipping" their toe in the on-line shooter scene and it's understandable while they've been a little cautious. So releasing it when they did, although missing content was a genius strategy. MK8 has also been done brilliantly. DLC1 got a lot of attention from me but DLC2 less so as Splatoon came around only a month later. I'm not the biggest Smash fan in the world and have no interest in the DLC. But paying £x for little costumes and extra fighters stinks of the usual corporate DLC crap that EA etc. put out. On the whole Nintendo is on the right track with DLC, as long as they stick with the MK8 & Splatoon formula. From my perspective, as someone who doesn't own any of the current-gen machines and just sees all this stuff on various news sites; I'd say the Wii U's DLC gets just as much content as any other DLC to be honest. Splatoon's content roll-out seems to be working as a good marketing strategy - maintaining interest and the game continues to sell. I think the mistake they made was only giving reviewers a fraction of the game. I think the metascore might have been 10% higher if they'd seen more maps and the various ranked modes. Edge waited for the full game and were able to review splat zones and a couple more maps alongside turf war. So many other reviews cited lack of content as a negative. I guess it's testament to the quality of the game that reviews were as good as they were, but they could have been even more positive. You have summed it up completely. Here's what I worry about: is the post-launch DLC model sustainable for Nintendo? Gone are the days where a game is finished and developers move onto the next project, apparently. Now, they've got to continue with the title, and even DLC content that was finished at launch is tweaked to adjust for gameplay issues. And clearly, the great MK8 DLCs and the amazing Splatoon updates are not financial windfalls for Nintendo. So, as much as I love this post-launch support, is it sustainable? @Kaze_Memaryu I agree with you, Splatoon is not DLC in the usual sense, since it isn't optional. The downloadable updates to Splatoon are all mandatory updates, just like to the main game of MK8 and Smash. There was a single player mode? Splatoon was advertised as multiplayer (from what I saw), I never knew it was a single player mode. Something like DLC would work really well for Splatoon. Not for weapons, but for additional single player content. I would happily pay £3-5 for another 5 levels to be added to the game, in a "DLC World". This model could be sustained for 10 months, with a new "world" coming out every 2 months. Would add some replayability to the single player, apart from getting all the scrolls and fully upgrading your player. Damn, now I just want them to make a Splatoon special edition thing and giving it me for free, whether it's on NX or whatever. Smash DLC is expensive but I really want to see more characters maybe two moree even after the Smash Ballot is finished. And some new levels, not just classic ones. I'm surprised that Splatoon is being held up as a shining example. With almost immediate DLC, it seems like the sort of thing Nintendo fans would normally criticise other companies for. So, if Nintendo delays games it's because "Nintendo takes time and effort and only releases a game when it's complete and perfect", etc. but when they rush it out and release the rest as DLC that's also a genius move.